True custom foot orthoses manufacture demands one-of-a-kind uniqueness. These designs are created exclusively for a particular application using specific information, instruction, interpretation, expertise, creativity and an element of subjectivity. So what if you want to do it again, exactly the same? For the fabricator, the most difficult challenge is building complicated second pairs months down the road, which have been adjusted. Interpretation and subjectivity start to play a significant part in this order. If the dispensing clinician embraces their role, it simplifies the manufacturing process. 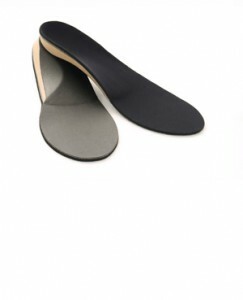 What is the easiest most accurate way to have custom orthotics replicated? Simply provide an updated work order with the original pair foot orthotics to be replicated. What is required if the original pair is not supplied? A new work order communicating the final design or a copy of the original work order. This should include top cover, shell length tracings and MLA height measurements. This is especially important when a new cast is taken. Supplying your lab with the original custom orthotic remains the best practice for accurate replication. When this is not possible EXACT details of what you are expecting to dispense to your patient will ensure quality patient care.